Utilising our intenet services provides you the comfort of a fixed price for your vessels internet requirements. As On Demand services such as Netflix,Skype have become the norm, the need for higher bandwidth and unlimited data allowances are essential. The options available to a Yacht to be internet connected fall into three primary services. Satellite (VSAT), 3G/4G services and public or private wifi services. NDS are specialists in the delivery of internet onto a yacht, and we couple that with great data packages. Our equipment seamlessly integrates into your existing network, providing simple control of your internet useage. The system will automatically select the best appropriate internet service and allows you to simply control user access to the internet. As the administrator of the system you will be able to, by the click of a few buttons allow access to specific content , for specific user groups , based on time of day, total connection time, etc. 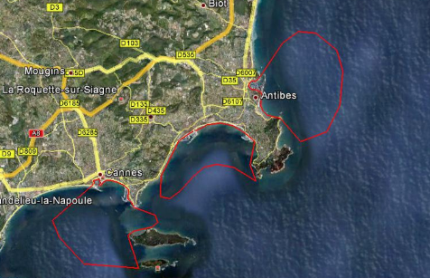 The service provides full roaming capability within the 4G/LTE footprint anywhere within Europe (*) In conjunction with our 4G service offering, MEDPORT also provides a dedicated 1:1 contention Wiimax service in the ports of Antibes,Juan les Pins,Golfe Juan,Cannes, Nice and Monaco, This allows a vessel to switch or simultaneously use both connections providing a highly resilient service. When using our service when in any of the above countries, data is unlimited and within package. When used outside of the above listings, country data charges apply. 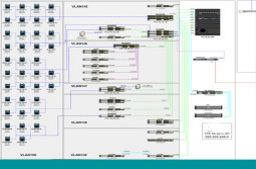 IP enabling your yacht or home causes its own headaches. For the delivery of High Definition media content, a cabled environment is required. The time, effort, and cost involved in pulling a new cable, may in fact outweigh the benefits gained by utilising an IP enabled service like media streaming. We will help you through these barriers, allowing the delivery of your required services with minimum pain. For a new build we undertake all aspects of the cabling requirements pertaining to the network infrastructure, audiovisual cabling, wiring closet design, wiring schematics, cabling and commissioning of your AV and IT infrastructure. NDS, installs and commissions local and wide area wireless solutions in all the current wireless spectrums. The demands on wireless network infrastructures for your yacht, office or home has rapidly changed. Wireless enabled devices are used by most of us daily and finding an application to suit your needs is most of the time as simple as a web search. Even with a single wireless node many external influences affect the performance of the wireless network at any given time, and this is exacerbated by the addition of further access points to provide a greater reach. Most deployed wireless networks do not have the intelligence inbuilt to provide handover between themselves, nor the ability to dynamically channel hop when needed. Each time you send a command from your Crestron or iPhone to control your AV systems you rely upon the request being honoured in a timely manner across the network. The managed wireless networks deployed by Net Dream Systems eliminate the inherent issues of poorly designed wireless networks, allowing for seamless movement throughout the coverage area. With self healing capabilities the wireless network will adapt to channel congestion issues dynamically providing a rock solid wireless infrastructure.